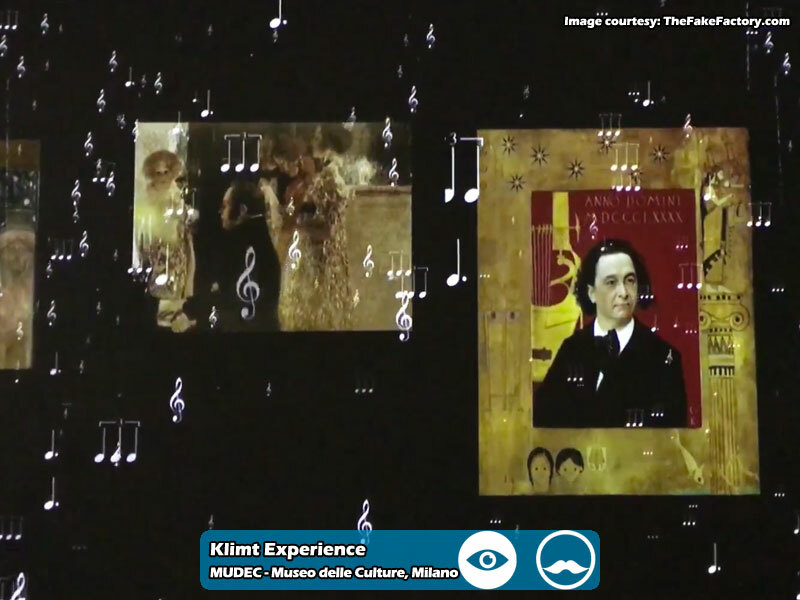 From the simple use of an object, whether it is an artwork or a commercial product, to living a real and genuine “experience” related to it: this is the philosophy to which MUDEC – Museum of Cultures in Milan, sticks. 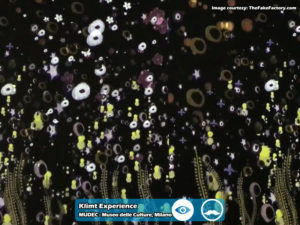 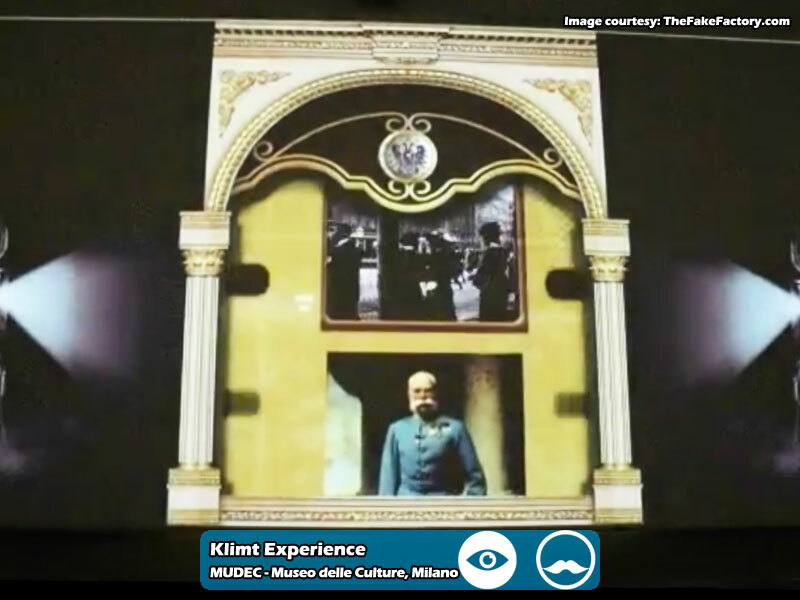 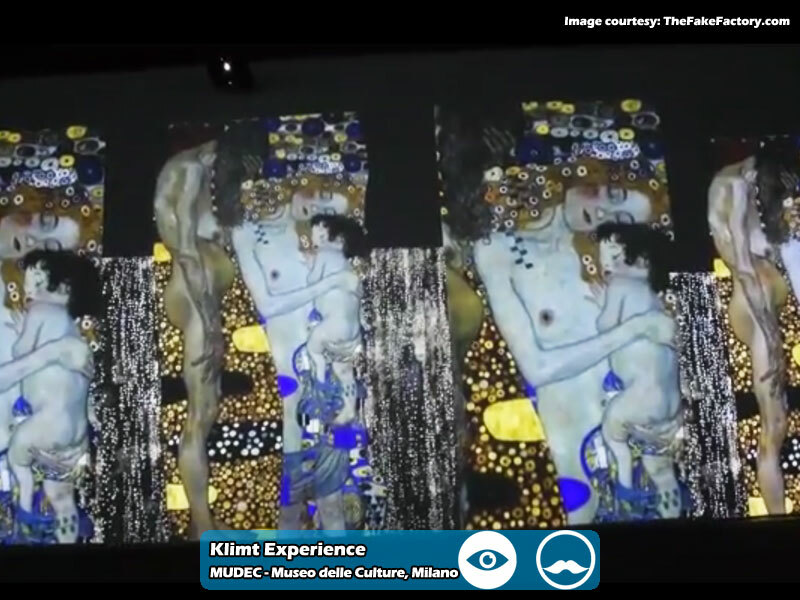 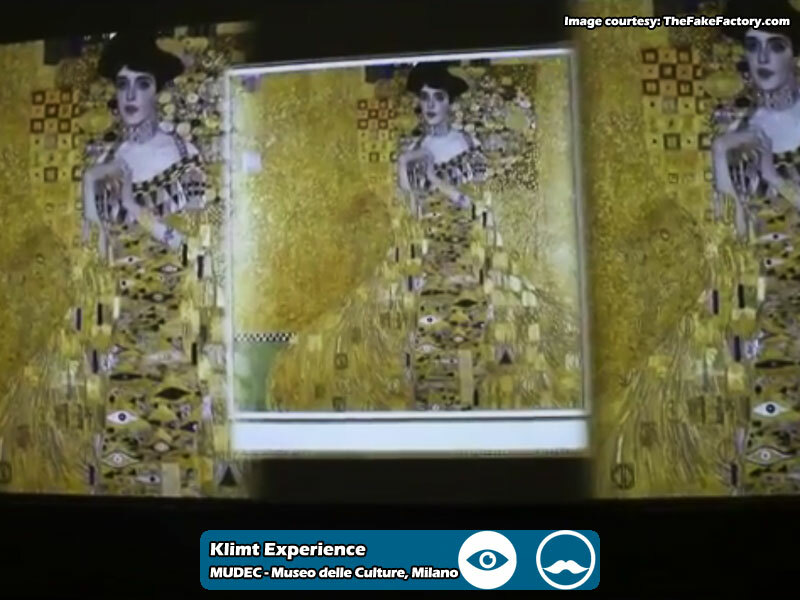 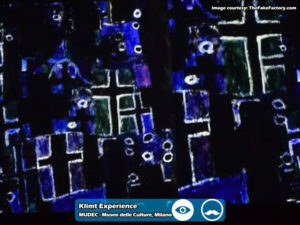 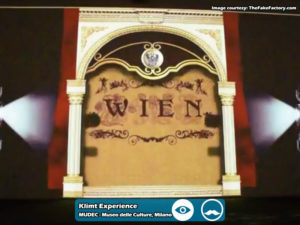 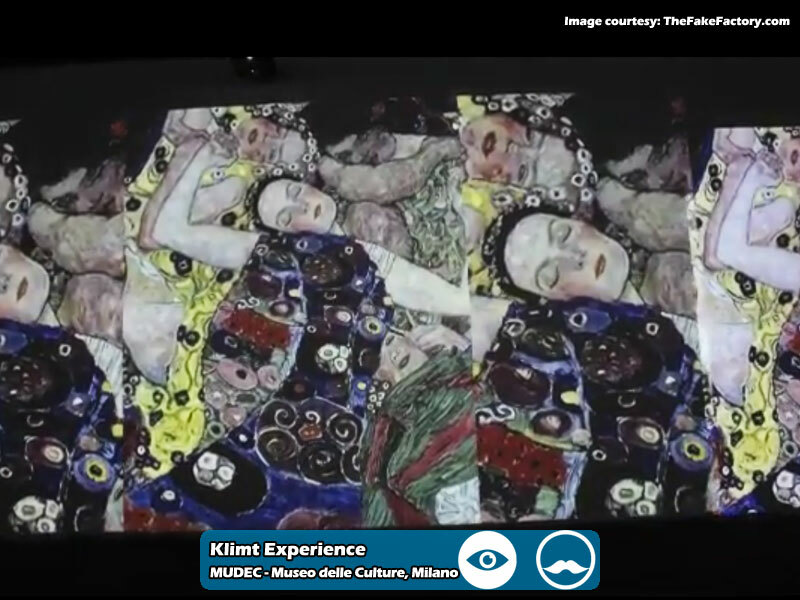 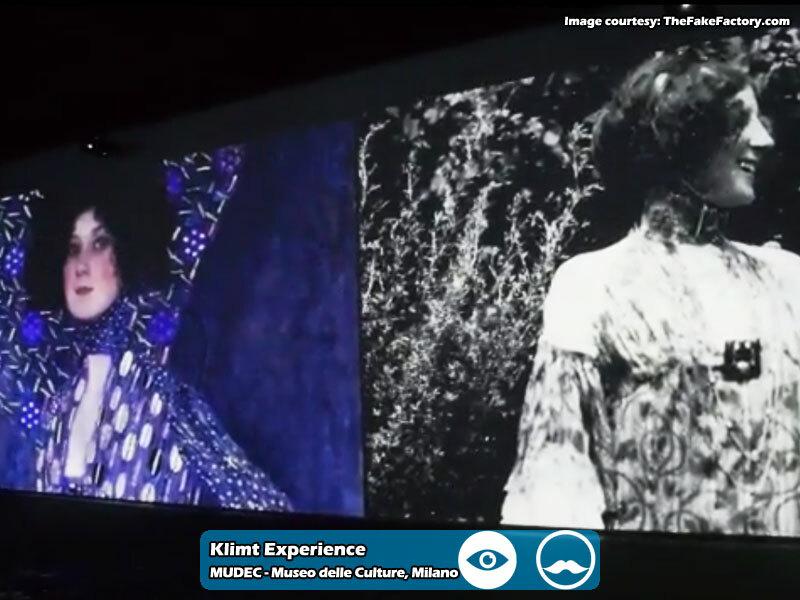 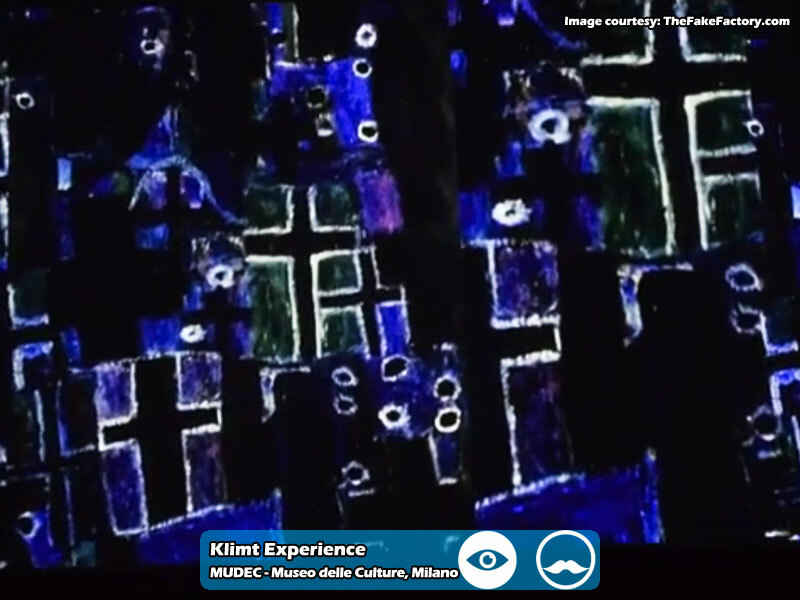 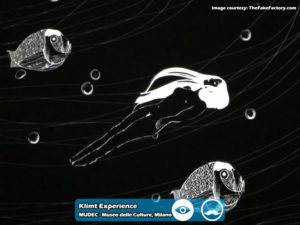 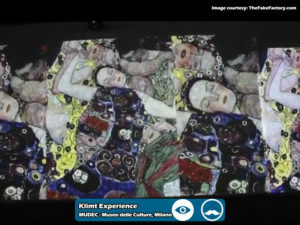 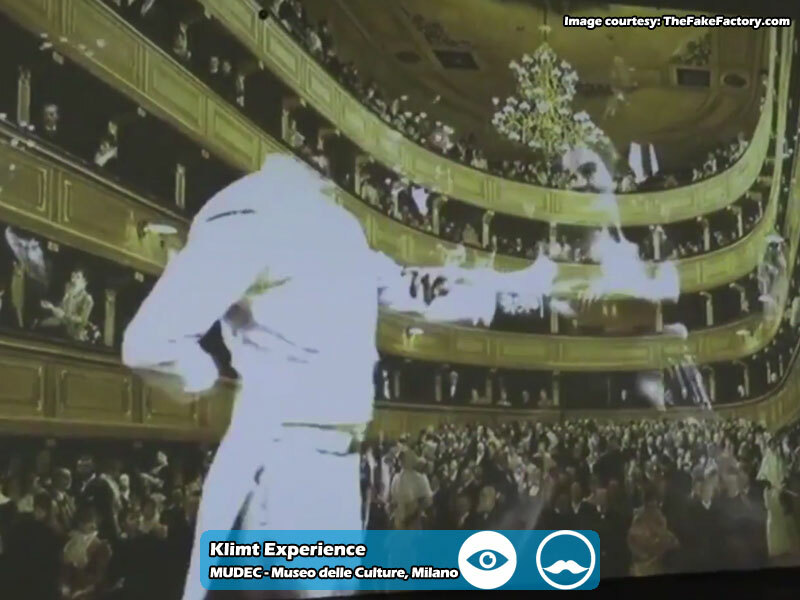 The museum is hosting from 26th July 2017 to 7th January 2018 the Klimt Experience, a totally “immersive” multimedia representation which has already been very successful in Florence and is currently much respected at the sumptuous Royal Palace of Caserta too. 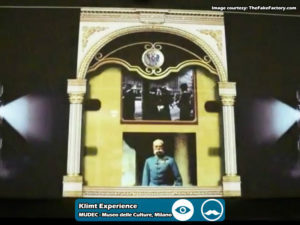 Even in this case the exhibition, produced by C&T Crossmedia, focuses on the aforementioned “immersive experience” format conceived and directed by Stefano Fake and realised by The Fake Factory video artists. 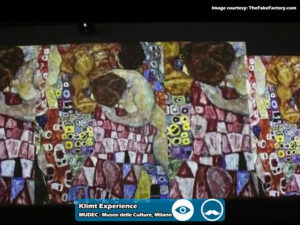 There are neither halls nor exhibited artworks, everything takes place in a single “experience-room”. The visitor sits in the middle of the room and finds himself wrapped by the virtual projection of Klimt paintings slowly flowing alongside the walls and the floor, with the accompaniment of an evocative soundtrack which alternates pieces by Bach, Beethoven, Mozart and Strauss. 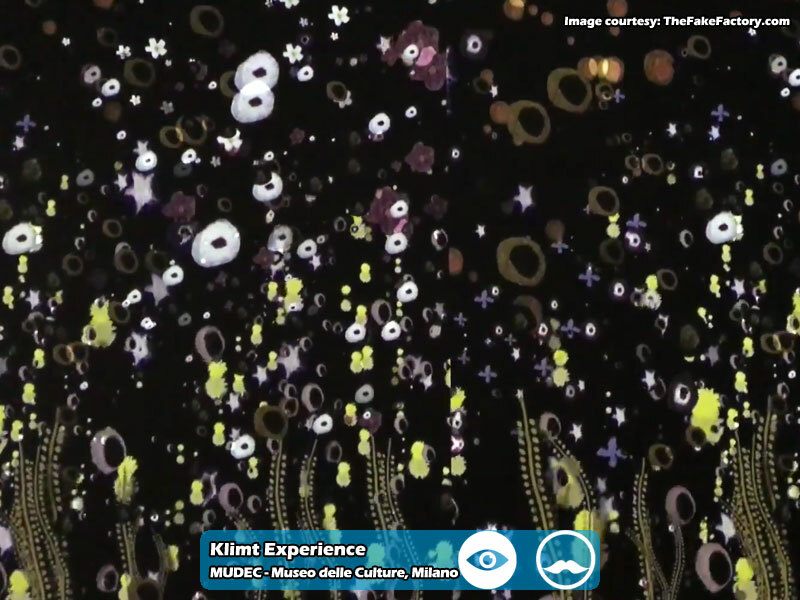 Seven hundred images come in succession in a single dreamlike flow, letting people sense the artist’s life and career from the beginnings to the last paintings. 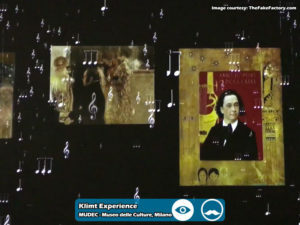 As in the previous installations, scientific consultation has been provided by Sergio Risaliti and Matteo Vercelloni. 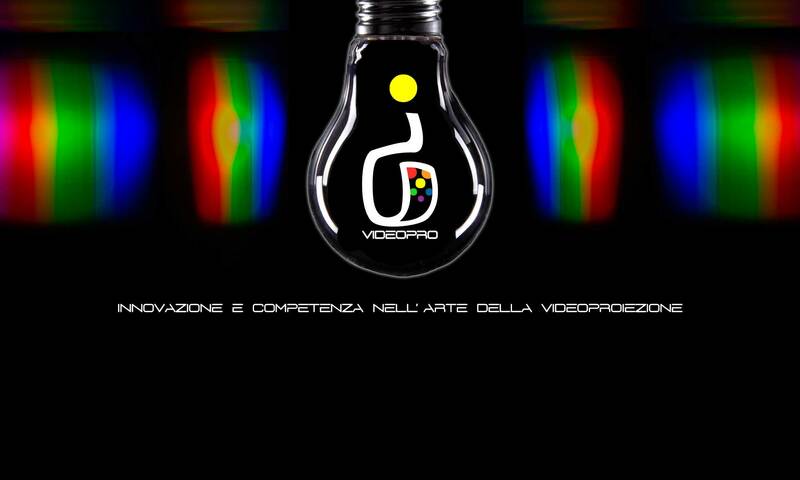 From the technical point of view, on the other hand, is the supply of 12 Optoma video projectors by IC Videopro to ensure a perfect output for what concerns images. 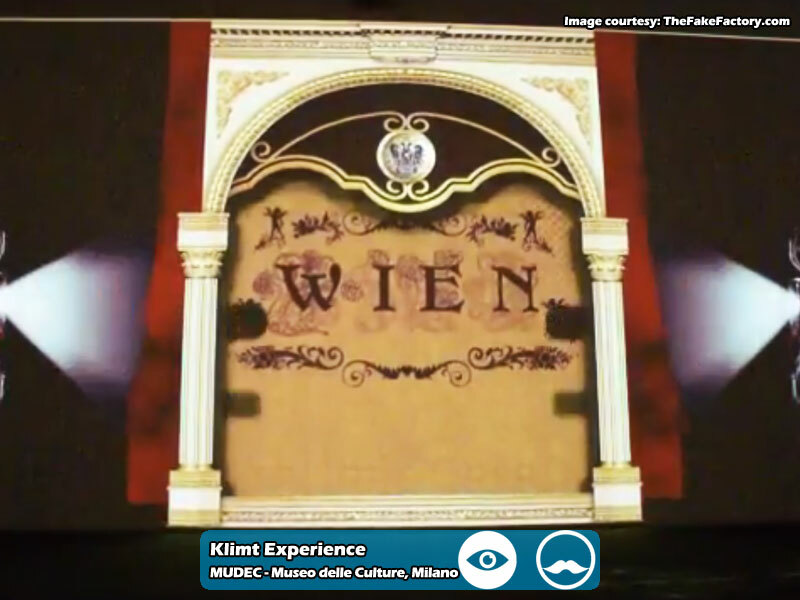 Specifically the twelve machines are 8 Optoma ZU510T laser with WXGA resolution and 5.500 ANSI Lumens, plus 4 Optoma EH415ST with Full HD resolution and 3.500 ANSI Lumens.